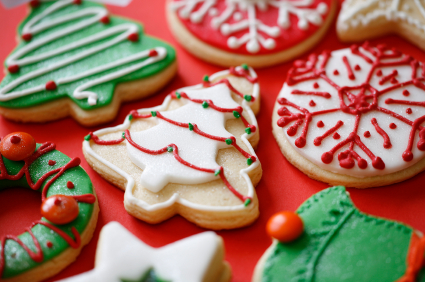 Below are some tips as you prepare to bake for the Cookie Walk. Watch for sales and purchase your ingredients ahead of time. Set aside baking time the week of the Cookie Walk. Most cookies will freeze well and can be made ahead. Remember the cookies that sell best are traditional Christmas recipes or festive cookies, so please not many chocolate chip or peanut butter cookies. You can turn plain cookies into festive cookies by using red and green colored chips, colorful sugars and sprinkles, or other decorations. We have plenty of aluminum pans for you to use to bring your cookies to church. They will be available in the parish hall after Thanksgiving. Our helpers will be in the alley by the back door on the 7th between 8:30 and 10:00 making it easy for you to drop off your cookies without needing to find a parking space. If you need help getting your cookies to church, or if you need to drop them off on Thursday please call Carolyn Freberg at 717-713-0985. Thanks for volunteering to be a baker. Your time and effort are greatly appreciated. Please place inside each of your cookie trays.